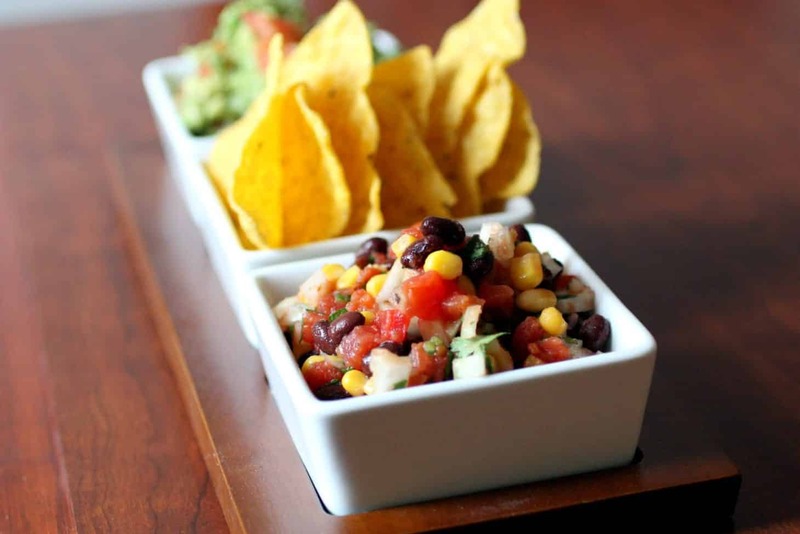 Black bean and corn salsa | Naturally. I bet I can make you so jealous…. Tonight and tomorrow night I get fantastic accommodations and meals in….. a dorm! Chaperone high school girls for two nights…. This weekend is our band festival for three high schools and one honor band (made up of high school students.) I think there are six concerts, numerous workshops, and events everywhere which equals- I run, run, run for two days straight! So, on the fact that I posted about these beautiful burritos yesterday and the theme for the next two days is “fast”, the food of the day is: Salsa! (super fast salsa that is.) We always buy our black bean and corn salsa and I never really thought to make some until I was rummaging through my freezer and found a half bag of corn. Corn+Beans+Tomatoes= delicious salsa. What is even better about this salsa? You throw (or gently place) all the ingredients in the bowl, stir for 5 seconds, and voila-la: Salsa! See- I told you this was fast! Enjoy right away or let sit in refrigerator for 1-2 hours to combined flavors.